We now proceed over Upper New York bay. Liberty Island is before us and beyond it is Ellis Island, gateway to the New World. 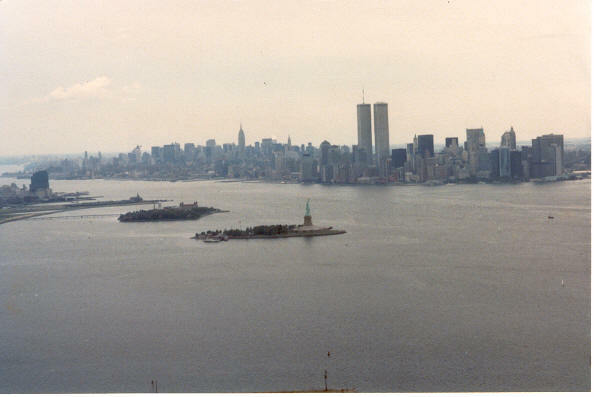 In 1990 the World Trade Center dominated the skyline of Manhattan, eclipsing the Empire State Building which is once again the tallest building in New York.